This article first appeared in Personal Wealth, The Edge Malaysia Weekly, on April 9, 2018 - April 15, 2018. Mobile money can be a gateway into sizeable and untouched markets for digital financial service providers all over the globe. Data generated from digital transactions are helping providers offer innovative services and potentially create digitally integrated network economies. According to McKinsey & Co’s global banking report released last month, digital finance has the potential to reach more than 1.6 billion new retail customers in emerging economies and increase the volume of loans extended to individuals and businesses by US$2.1 trillion (RM8.1 trillion). The report, “Mobile money in emerging markets: The business case for financial inclusion”, states that new types of financial services are emerging as the network of mobile payments grows. It points out that digital data trails are created when consumers conduct financial transactions using mobile phones. According to statistics provided by Bank Negara Malaysia, the national transaction value per capita for e-payments amounts to nearly RM613.6 million last year, up 11.4% from RM550.6 million in 2016. There was no data for the total number of mobile payments made in 2016, but the central bank stated last year that it came to about RM500,000. Digital payments also enable e-commerce and new sharing economy models such as ride sharing and employment matching. These business models are increasingly emerging and scaling quickly in the developing world, says, the report. Online marketplaces such as Alibaba — the world’s largest retailer by gross merchandise value — aggregate large numbers of sellers to improve customer choice and reduce prices. 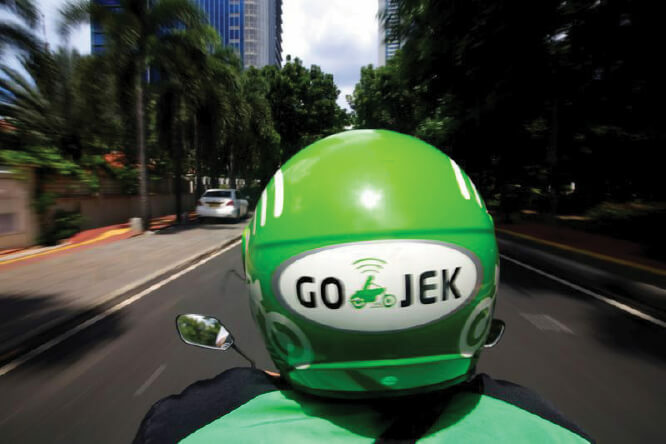 “Ride-sharing platforms such as Didi Chuxing in China and Go-Jek in Indonesia match passengers with drivers of cars and motorcycles in real time,” says the report. Gabriele Vigo, senior partner at McKinsey, tells Personal Wealth that one of the ways mobile money providers can go beyond payments and provide loans in emerging markets such as Indonesia and Malaysia is by creating risk datasets that are used to score customers. E-commerce companies can launch their own e-wallets and gain insights when customers put their money in them. He points out that banks and other financial institutions as well as insurers are building digital ecosystems to preserve their central and core relationships with their clients. He cites Ping An, a Chinese holding conglomerate whose subsidiaries offer insurance, banking and financial services, which also backs China’s largest online healthcare platform, Good Doctor. Vigo mentions Grab as another example. The company introduced its mobile payments service GrabPay last November and recently launched its own financial technology (fintech) platform Grab Financial. Consumers will have a single point of access to a larger number of services, says Vigo. For example, through a potential healthcare ecosystem, consumers will be able to find the best doctor for their disease, book a visit, pay using a personal loan and pay for the medicine in instalments. “All of this, done through an app, will be fundamentally different than it is today since we all have many apps on our devices. This will make consumers’ lives so much easier,” says Vigo. Another example of an ecosystem is in the property sector, where consumers will be able to find a property, obtain a mortgage, find the best furniture shop and buy furniture using a personal loan. “They will also have the ability to find the best and most convenient plumber in town and pay using a personal loan — all this with a single point of entry into the ecosystem,” says Vigo.